How big is the new TIE Fighter? How has the First Order Stormtrooper evolved? What proportion of new characters are droids? From Jakku to Takodana, what planets do the heroes visit? 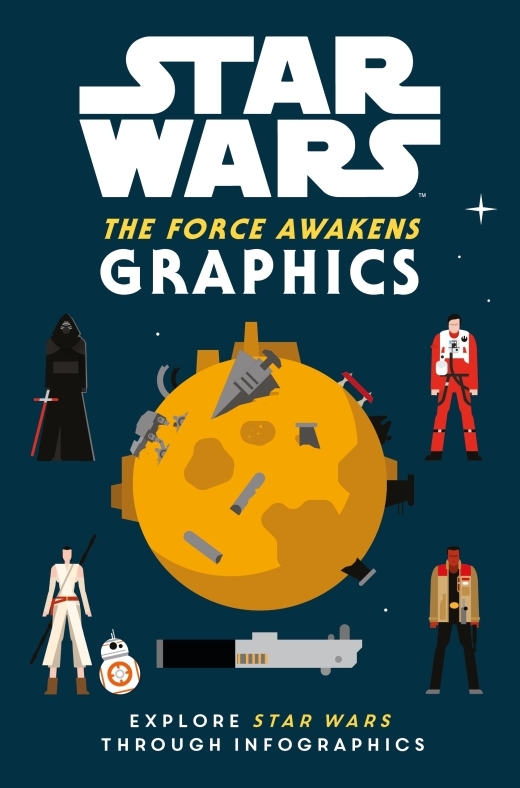 You can unravel the secrets of the Star Wars universe with this wonderfully illustrated infographic book. It includes all the new ships, characters, locations and movie moments from The Force Awakens. You can also discover fun facts about Rey, Kylo Ren, BB-8 and many more.